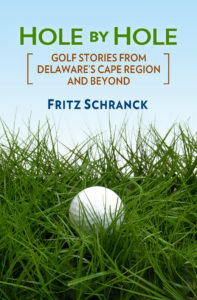 The Cape Henlopen High School golf team won what turned out to be a relatively easy first match victory of their 2011 season, over the Smyrna High Eagles, 177-207. The Vikings hosted the March 22 match on the front nine at Rehoboth Beach Country Club, on a typically brisk, windy opening day. Head Coach Dave Inglis mentioned that Smyrna lost all of its varsity squad from last year, which was an impressive bunch. By comparison, this year’s Eagles look like they will be struggling a bit. A Henlopen Conference golf match puts six players from each team into three sets of four golfers, with the lowest four scores for each side making up the totals for the competition. Typically the players begin play simultaneously on three different holes, but for this match the teams teed off on only two holes.